All our units are humidity controlled and are ideal for safely storing Commercial items. State of the art CCTV monitors all our units within Reddistores to give you peace of mind. If you need secure, heated indoor or outdoor storage, why not try Reddistores? With our facility protected by CCTV and alarmed with ADT and BT Redcare as well as you will have your own access code to the facility and key to your unit, you can be confident of the safety of your items. With a range of Commercial and Domestic self storage solutions on offer we welcome any new customers to come and visit our storage. Please contact us to speak to one of our team or discuss on live chat. Our parking and loading areas have enough room to turn an articulated lorry and to load two vans at the same time. You will never have to worry about easily accessing your unit with a vehicle of almost any size. CHEAPER, MORE FLEXIBLE ACCESS, DRIVE UP TO UNIT – NEED SPACE? 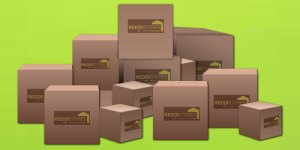 Reddistores are an affordable and secure choice for Domestic Storage. Along with our pre arranged terms, we can also tailor quote to your requirements if needed. Find out more by contacting us and one of our team will be happy to discuss any queries you may have. Safety and Security is paramount. We know what businesses need to ensure the security of their documents, equipment and other goods. Competitive corporate rates with flexible terms. Find out more by contacting us and one of our team will be happy to discuss any queries you may have. At Reddistores we also sell all the supplies you will need for any self storage. From packing boxes, bubble wrap, marker pens, gloves and padlocks, we can offer a full range of supplies. Find out more by contacting us and one of our team will be happy to discuss any queries you may have. Apart from flammable or perishable items anything can be stored in your Reddistores storage unit. Just so you know, we keep a few containers free at all time's for that emergency that crops up. You will have your own key and code to access your unit 8am to 8pm Monday – Saturday, and 10am to 6pm on Sunday. Office hours are Monday to Friday 8.30am to 5.30pm. All of our domestic storage options are self access seven days a week; you will have your own lock, key and alarm pin code allowing you to access your items whenever you need to within customer access times. The commercial storage facilities are humidity controlled and are ideal for safely storing business files, stock, office equipment, furniture or archives until you need them again. 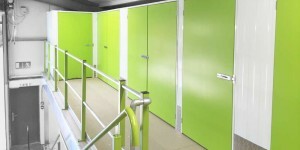 All of our storage facilities are available for self access – you will have your own lock, key and alarm pin code. 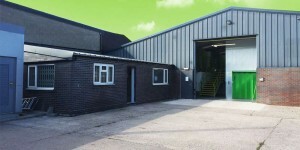 Reddistores self storage is a purpose built, heated self storage facility. Ideally setup for Commercial and Domestic storage, we serve customers throughout Redditch, Alvechurch, Birmingham, Bromsgrove, and the surrounding areas. Whether you’re moving, carrying out alterations or renovations, or just clearing valuable space, we have the storage space for you.